Home / Uncategorized / Your best is yet to come! God’s Word for you today is this: Your best is yet to come! Regardless of your circumstances, your age, your financial situation, I want you to hear this truth — your best days are truly ahead of you. Why? Because of Jesus. A hope-filled life has been made available to you because of Jesus. You are the beloved! 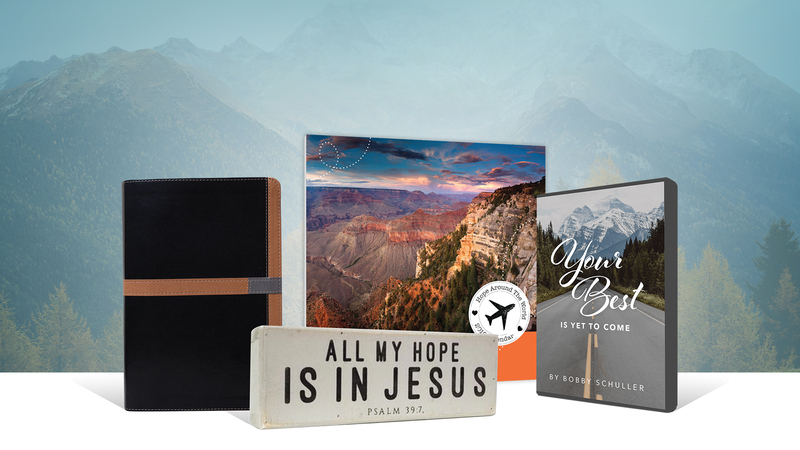 We invite you to request these encouraging, hope-filled resources! With your generous gift of any amount, we’ll send you the 2019 Hope Around the World wall calendar with a bonus Your Best Is Yet to Come 4-CD series. Our 2019 calendar is a wonderful way for you to celebrate and rejoice with us for all that God is doing to the ends of the earth through Hour of Power because of your generous support. Additionally, this new audio series will encourage you to lay hold of the promises of God and believe that your best is yet to come. 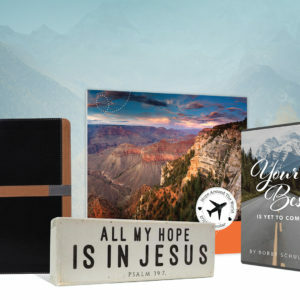 With your generous gift of $130 or more, we’ll send you the “All My Hope Is in Jesus” art block, 2019 wall calendar, and Your Best Is Yet to Come 4-CD series. This beautiful art piece was created to encourage and remind you to put all your hope in Jesus. Place it on your mantle, desk, or shelf and enjoy knowing you are the beloved of Jesus Christ. With your generous gift of $1,000 or more, we’ll send you the Four-Translation Comparative Bible, decorative art block, 2019 calendar, and Your Best Is Yet to Come 4-CD series. Take your personal study of God’s Word to another level with the special Comparative Bible, featuring 4 unique translations presented side by side to help you delve further into the transformative Word of God while also sowing the Word into the hearts of those who desperately need it.